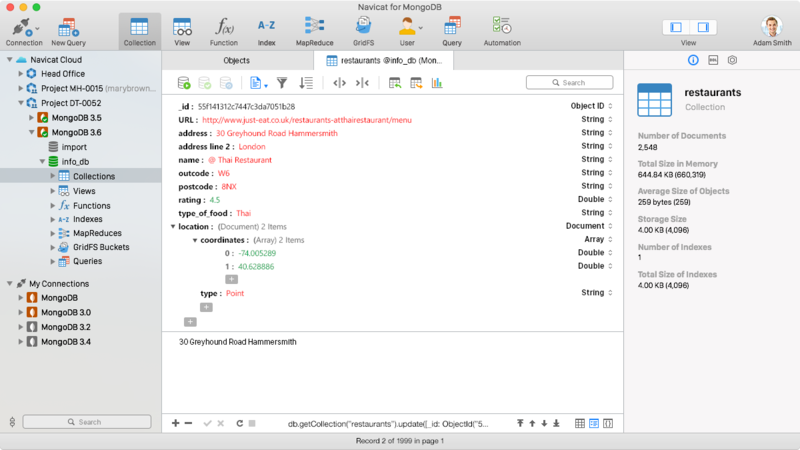 Navicat for MongoDB delivers you a highly usable GUI to streamline your routine database tasks. Our well-designed interface is easy to access and understand — giving you new ways to manage your MongoDB databases and making your work more efficient and easier than ever. Create, modify, and design database objects using professional object designers, available for all database objects such as Collections, Views, Functions, Indexes, GridFS, and MapReduce. Without the need to write complex scripts to create and edit objects, you’ll know exactly what you are working on. Navicat for MongoDB adds support for MongoDB 4 transaction, you will be able to rely on transactional guarantees to enforce data integrity. 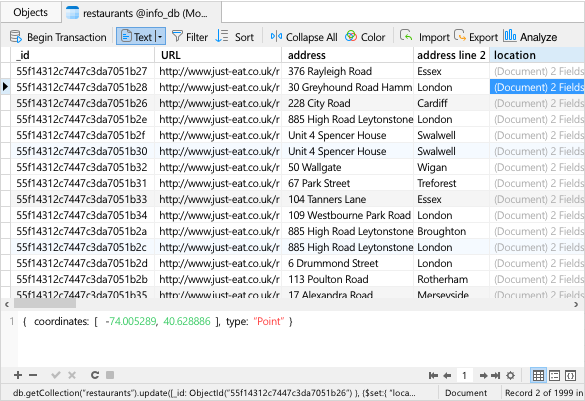 Data can be presented in Tree View, JSON View or Grid View. Tree View shows your documents in a hierarchical view. All embedded documents and arrays are represented as nodes, which can be expanded or collapsed as needed. You can also show your data as JSON documents, while documents can be added with our built-in validation mechanism which ensures your edits are correct. And, our classic and powerful spreadsheet-like Grid View which can handle any documents size, and supports advanced features like highlighting cells based on data types, hiding columns and more. Analyze your documents and display rich structures within your collections in a simple and intuitive UI. 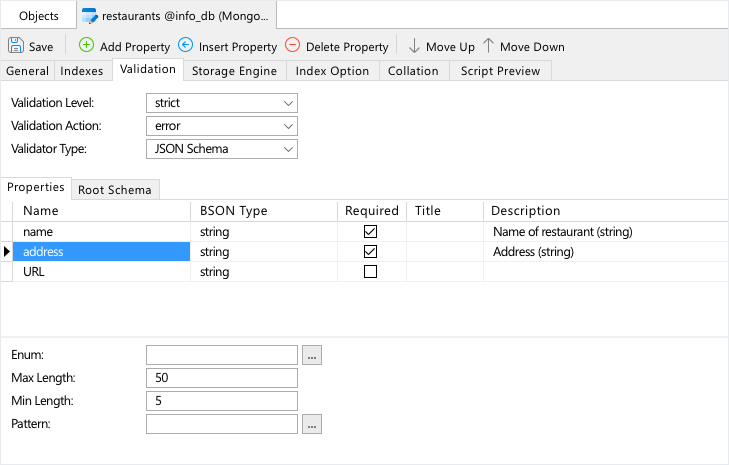 Navicat for MongoDB provides you with a graphical view of your MongoDB schema, allowing you to quickly visualize, explore, and understand your MongoDB data in term of frequency, types, as well as any schema outliers. Navicat for MongoDB ships with a wide range of advanced features to manipulate your data in order to increase your overall productivity. Import data into a database from TXT, Access, Excel and more. Data can be exported from collections, views, or query results to any available formats. Save your settings as a profile for future use or setting automation tasks. You can manage your data efficiently and ensure a smooth process. Whether you are using Windows, macOS, or Linux, sync your connection settings, queries and virtual group information to our Navicat Cloud service and stay productive wherever you go.